While the meaning of any word may evolve over time, the Inuktitut word SILA was specifically chosen for its traditional connotation of life essence and the creative force that is part of us all. Without SILA, we cannot exist. The modern interpretation of SILA relates to the environment and is equally vital to our survival particularly for the Inuit who continue to live a traditional lifestyle to this day. At SILA Management Services Inc., we work closely with individuals and organizations who share a view toward creating, developing and enhancing opportunities in the north for Nunavummiut. SILA is also committed to making an impact on the community it serves and beyond. Our community commitment is founded on the principles of our company president, Robbin R. R. Sinclaire, who has had involvement with Canada’s newest territory since its inception in 1999. “For those with lung disease, everyday living can feel like climbing a mountain.” Robbin R.R. Sinclaire. 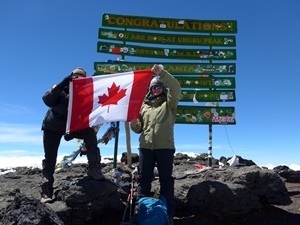 On January 6th, 2014 Robbin completed the climb of her life – a trek to the summit of Mount Kilimanjaro with Tusker Trails — to raise funds for much-needed lung research through the Canadian Lung Association. Kili Climb for Life built awareness and raised research dollars to help create healthier lives and communities in Nunavut. 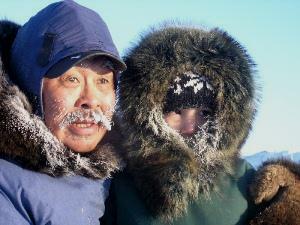 See Nunavut News/North coverage of Robbin's climb in English and Inuktitut. 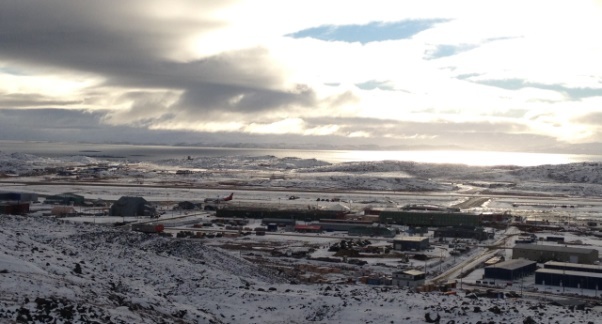 While resident in Iqaluit, Robbin served as a volunteer in many capacities. 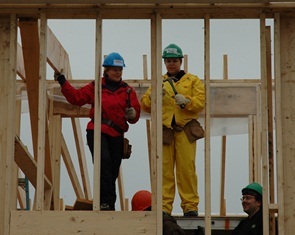 In 2004, she worked with a small group of other community members to establish the Iqaluit affiliate of Habitat for Humanity and later celebrated Global Village’s first remote northern build in 2007. 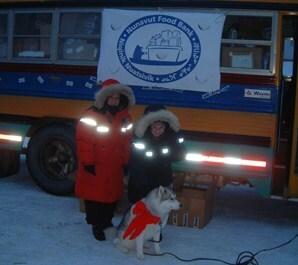 She remains a member of the Rotary Club of Iqaluit. SILA makes annual contributions to those charitable organizations which address the basic elements of survival - food and housing. Accordingly, SILA is recognized as a “soapstone sponsor” of Habitat for Humanity Iqaluit for its financial contribution and support of the affiliate’s major fundraising event each year. In 2011, our president traveled to Pondicherry, India to support build efforts there under Habitat Canada. The corporation also supports the Niqinik Nuatsivik Nunavut Food Bank and Habitat for Humanity Canada / Global Village Canada. In this way, SILA hopes to strengthen the life essence and creative force that runs through all of us……..